Why would a supposedly democratically elected government prohibit any public screening of a film with absolutely no violent or sexual content? In the case of the Muslim Brotherhood-backed Mohamed Morsi administration, a documentary describing how a sizable Jewish community once peacefully coexisted with Egypt’s Muslim majority was evidently not considered fit for public consumption, despite slavishly hewing to an “anti-Zionist” line. Arriving as a modest cause célèbre due to the fallen Morsi government’s misadventure in censorship (they eventually relented), Amir Ramses’ Jews of Egypt (trailer here) opens this Friday in New York. During the first half of the Twentieth Century, a number of Egypt’s leading citizens happened to be Jewish. To this day, Laila Mourad remains one of the nation’s most popular recording artists, though many are apparently unaware of her Jewish heritage, judging from the brief man-on-the-streets interviews that open the film. 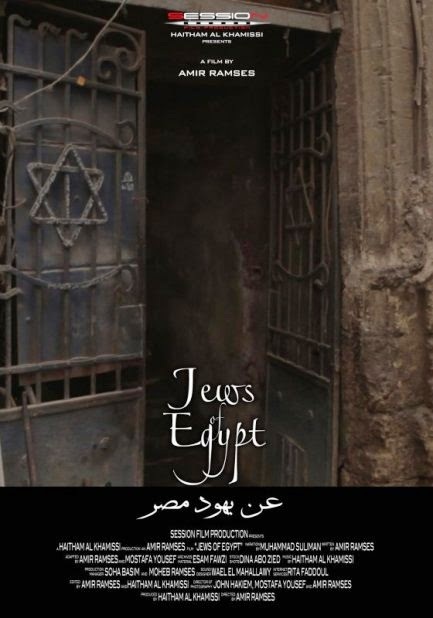 According to surviving members of the community, nearly all Jewish Egyptians self-identified with their country first and foremost, whereas their Jewish religion and culture was of secondary concern—if that. Everyone goes to agonizing lengths to distinguish between Jews and Zionists, clearly pre-supposing there is something fundamentally problematic about the latter. Yet, despite the vehement anti-Israeli sentiment expressed by many prominent Jewish Egyptians, they collectively found Egyptian increasingly inhospitable following Nasser’s ascent to power. Ironically, the experience of the unflaggingly loyal anti-Zionist Jewish Egyptians dramatically proves the Zionist point. Despite their Communist, anti-colonialist political affiliations, they were still arm-twisted into immigrating and, most painfully, renouncing their Egyptian nationality. Some were even imprisoned on the scantest of charges, solely because they were Jewish. Nonetheless, Ramses and his assembled talking heads are not particularly inclined to ironic self-awareness. As far as historical accuracy goes, JOE is also highly suspect. Frankly, the film works best when examining the interrelations between the various members of the loose-knit Jewish-Egyptian society. Who knew whom and where they all wound up is rather engaging stuff. 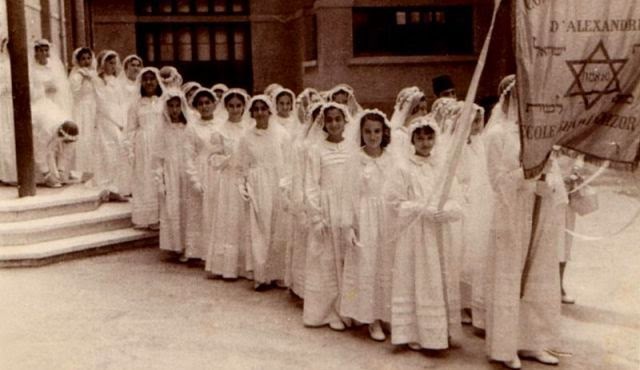 The Orwellian impulse to erase all trace of Egypt’s considerable Jewish population is depressing, but not especially shocking. At least Ramses plants a flag that says these people existed. Considerably better at painting a picture of a unique cultural milieu than explaining the wider geo-political forces at play, Jews of Egypt is still a decidedly mixed bag. Viewers should go in already well grounded in the history of the region and Israel’s constant battle for survival. For those intrigued by its rocky pre-release reception, it opens this Friday (3/28) at the Quad Cinema in New York, via Art Mattan Productions.